If you live in London and want a cost effective home improvement solution, opt for uPVC windows from Keepout. Our windows can enhance your home in terms of aesthetics, maintenance ease, sound and heat insulation and security. Unlike many window installers in the area, we combine an expert manufacturing process with professional fitting services, rather than one or the other. Our range of uPVC windows are perfectly suited for the area and your property – options available are tilt and turn, sliding sash and casement. Our uPVC casement windows offer excellent energy efficiency and a modern look. Not only do they look great our casement windows are easy to maintain and won't rust or fade. Our durable tilt and turn uPVC windows offer superb functionality. Tilt in slightly for minimal ventilation or open full inwards for easy cleaning and maximum ventilation. Our uPVC sliding sash windows combine beautiful aesthetics with peerless functionality. At home in both modern and traditional properties, they are robust, low maintenance and attractive. What makes our windows suited to London? 1930s semi-detached properties: Update your dated bay windows with fantastic uPVC alternatives - our sash windows will maintain the character of your property, reduce maintenance worries and reduce noise levels (especially beneficial if you live beside transport links). 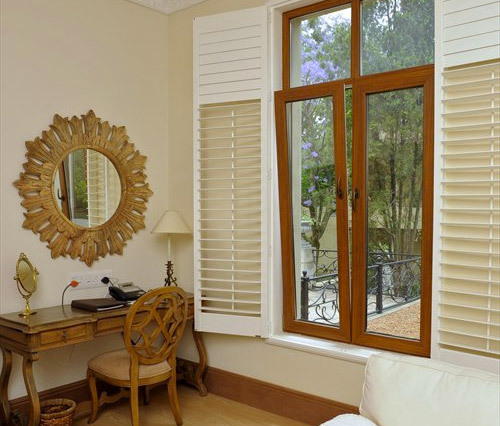 City apartments: Maximise space with our quality uPVC windows. Tilt and turn options are the perfect solution as can be cleaned from the inside, improve ventilation and security - all whilst letting in as much natural light as possible. Mews or terraced properties: If your house is more traditional, optimise natural light with new uPVC windows that still maintain the character of your home. Stand out from your neighbours by opting for different colour options - who said windows had to be white anyway? In 2015, 64% of London burglaries were to residential properties - opting for secure uPVC windows from Keepout ensures that you won't become a part of the crime statistics. All of our windows comply with security standards and can incorporate multi lock systems - give yourself peace of mind by simply updating your windows. Equally, as one of the most densely populated cities in the UK, London is polluted and noisy. Luckily our uPVC windows remove the worry of draughts, are easy to clean and can half noise levels. Choosing our windows is a simple decision that will have lasting benefits. By manufacturing our uPVC windows in house, we can ensure quality control throughout the entire process. Our energy efficient, stylish and generally high performing uPVC windows can be installed within 2 weeks of quotes being received. Improve your London home simply and quickly with our windows - the benefits will last for years, if not decades.